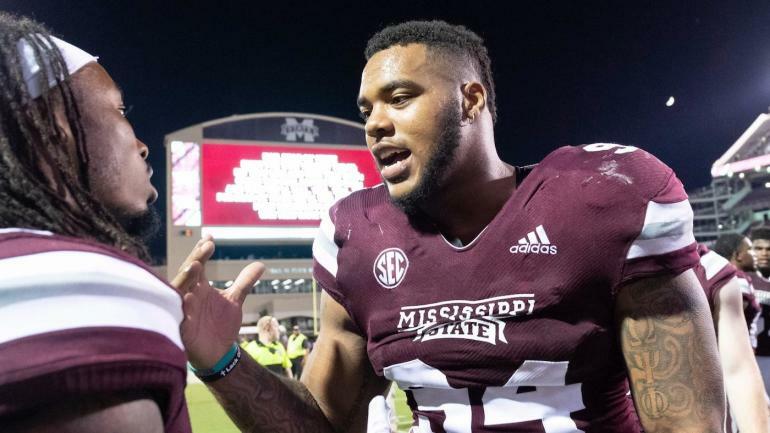 Mississippi State defensive tackle Jeffery Simmons, considered a potential top-15 pick in April’s NFL draft, may not hear his name called on the first day of selections. According to a report from ESPN.com’s Adam Schefter and Chris Mortensen, Simmons suffered a knee injury during training and it is believed to be a torn ACL. If the diagnosis is confirmed as a torn ACL, Simmons will presumably sit out some or all of his rookie season in order to rehabilitate, and it will be difficult for teams to know what kind of player they are getting if and when he returns to the field. Simmons, who had 30 tackles for loss and seven sacks during the past two seasons as Mississippi State and is considered one of the top available defensive linemen in the draft, was already facing questions regarding off-the-field issues. He had previously been informed that he would not receive an invitation to the NFL Combine due to the league’s rule regarding issues of violence. As we wrote at the time, the lack of a combine invite for Simmons is standard operating procedure since the NFL instituted a rule in 2016 that it would not invite prospects who had previously had issues with violence to the combine. Simmons was seen on video in 2016 striking a woman. Mississippi State allowed him to enroll in the school anyway, ultimately suspending him for one game.